C0₂ adaptor that allows quick and easy tire inflation. 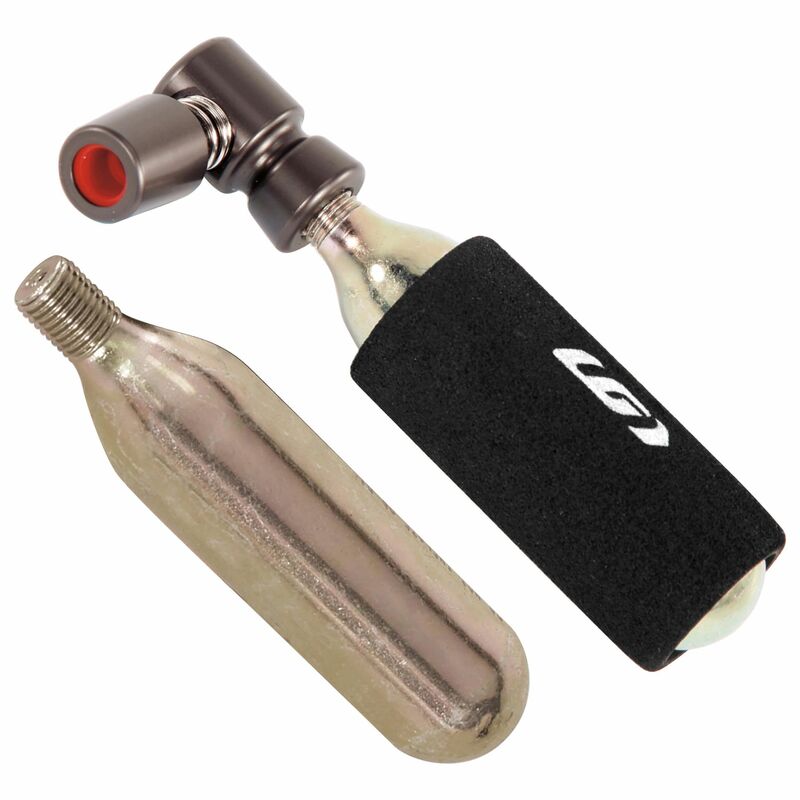 It is compatible with Presta and Schrader valves and comes with 2 C0₂ threaded cartridges. C0₂ adaptor that allows quick and easy tire inflation. It is compatible with Presta and Schrader valves and comes with 2 C0₂ threaded cartridges. Please note that CO2 cartridges are considered a hazardous material. Orders including this product will be shipped via Purolator and will require a signature upon receipt.